One of the biggest votes of confidence an executive of a public company can give his or her stock is the purchase of stock on the open market. Management at GTEC Holdings (TSXV: GTEC) (OTC: GGTTF), Heritage Cannabis (CSE: CANN) (OTC: HERTF) and Supreme Cannabis (TSXV: FIRE) (OTC: SPRWF) have all bought shares in early 2019. GTEC CEO Norton Singhavon has been a consistent buyer of the stock since it began trading publicly last year, and he bought additional shares after the company terminated its merger agreement with Invictus MD Strategies (TSXV: GENE) (OTC: IVITF). Singhavon bought 40K shares on the 16th, according to Canadian Insider, paying $0.555 per share and bringing his total direct ownership to 10.91 million shares. He also owns 208K shares indirectly. Since August, he has purchased about 1 million shares. Like Singhavon, Heritage Cannabis CEO Clint Sharples has been a persistent buyer. 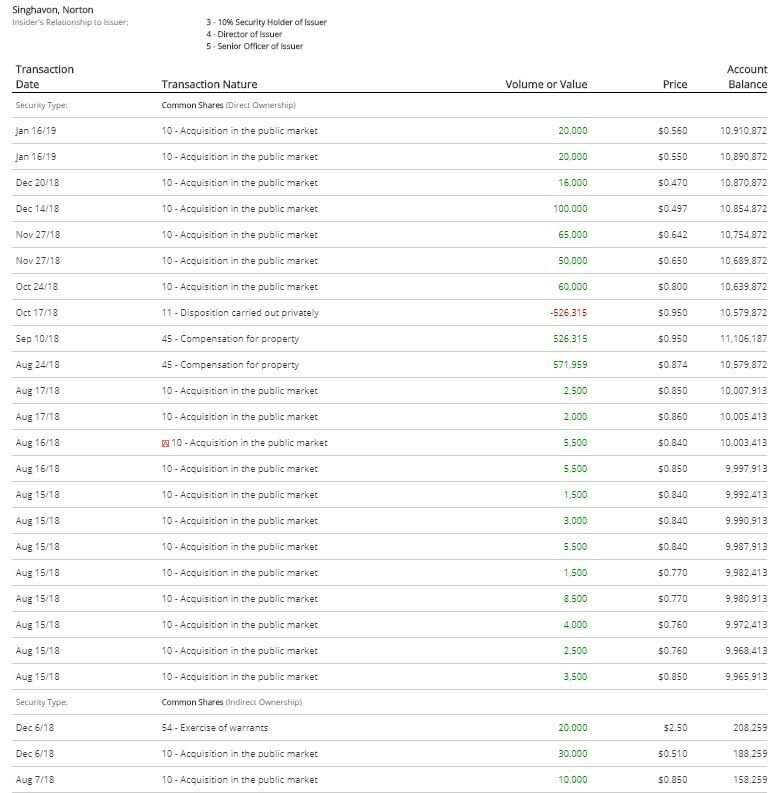 Last week, he bought 95K shares between $0.185 and $0.19. Since September, he has bought over 700K shares. Supreme is expected to report Q2 financials in February and just announced that it will be uplisting from the TSX Venture to the TSX.